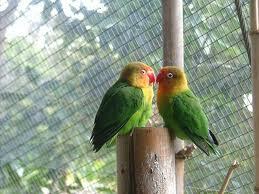 A Lovebird is one of nine species of the genus Agapornis. 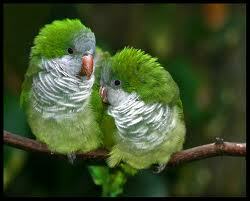 They are a social and affectionate small parrot. 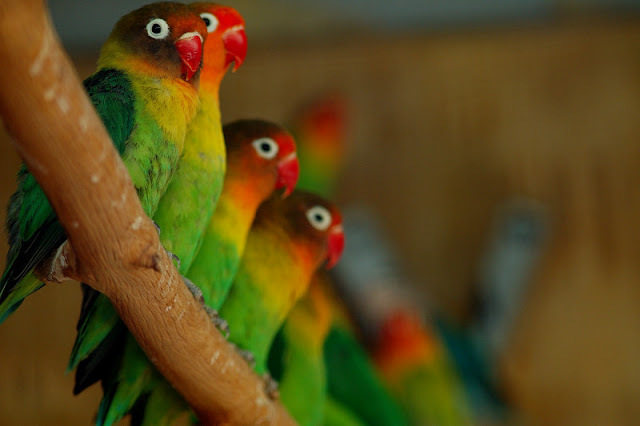 Seven species are native to the African continent, while the Grey-headed Lovebird is native to Madagascar. 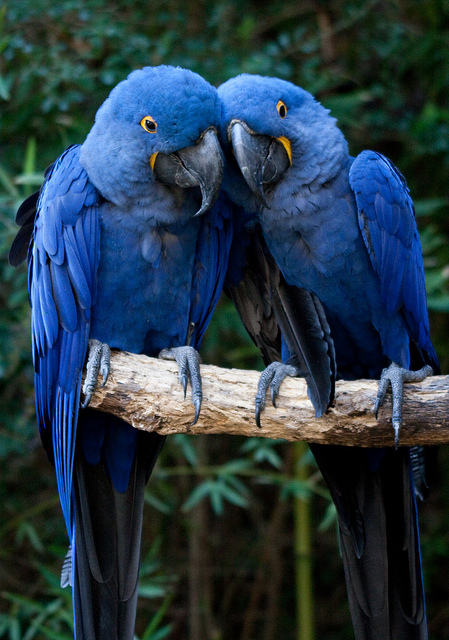 Their name stems from the parrots' strong, monogamous pair bonding and the long periods which paired birds spend sitting together. 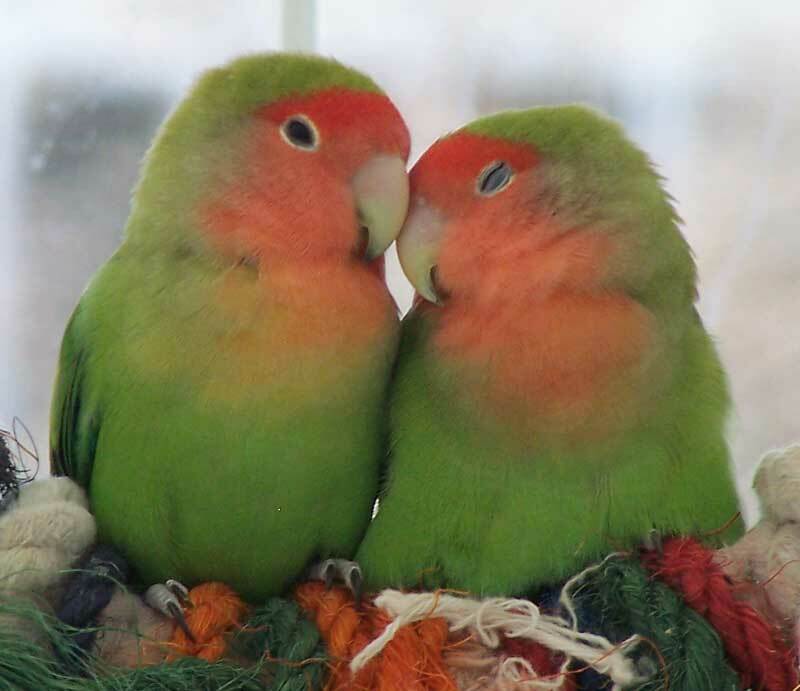 Lovebirds live in small flocks and eat fruit, vegetables, grasses and seed. 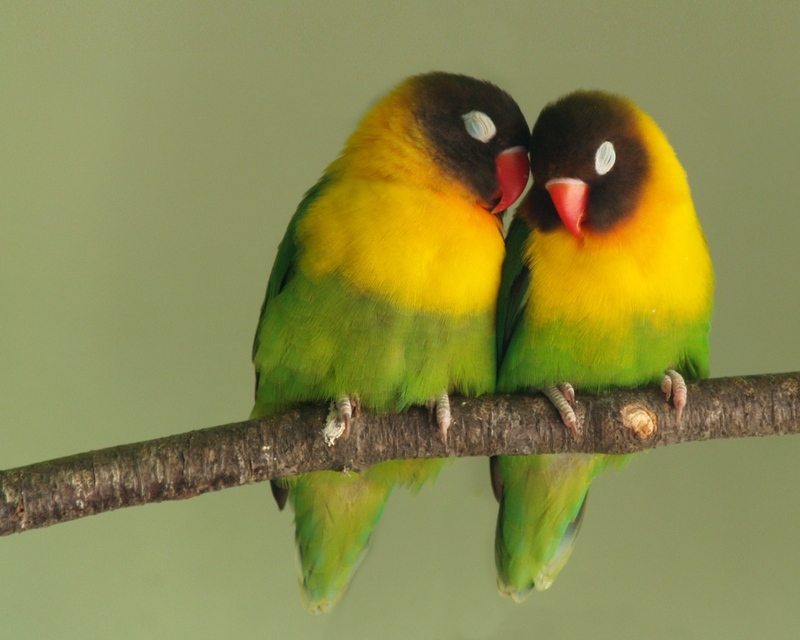 Black-winged Lovebirds also eat insects and figs, and the Black-collared Lovebirds have a special dietary requirement for native figs, making them problematic to keep in captivity. 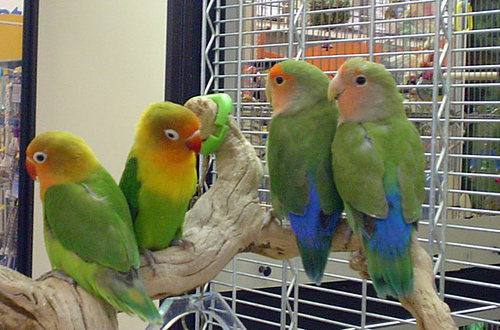 Some species are kept as pets, and several color mutations were selectively bred in aviculture. 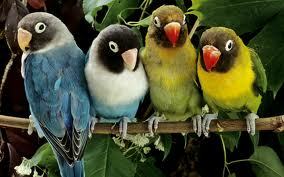 Their average lifespan is 10 to 15 years. 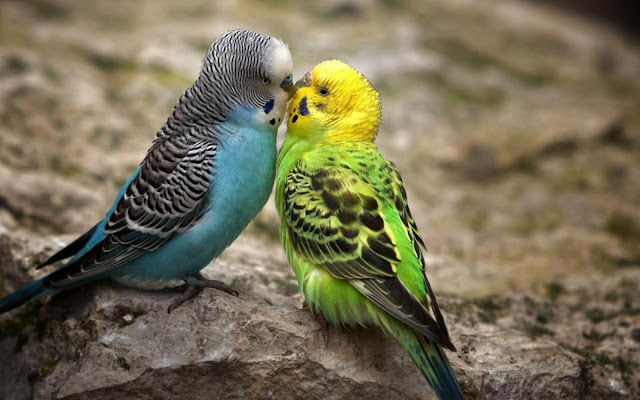 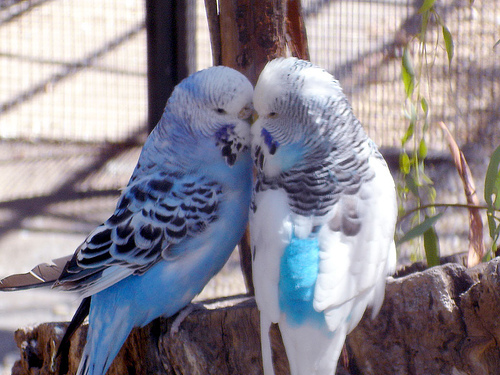 Lovebirds are 13 to 17 centimeters in length and 40 to 60 grams in weight. 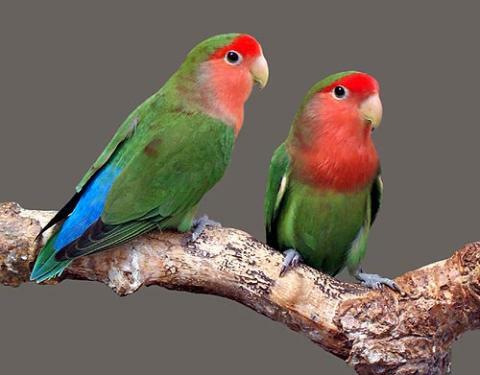 They are among the smallest parrots, characterized by a stocky build, a short blunt tail, and a relatively large, sharp beak. 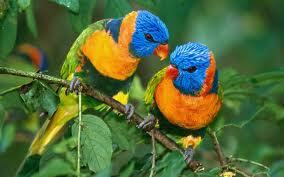 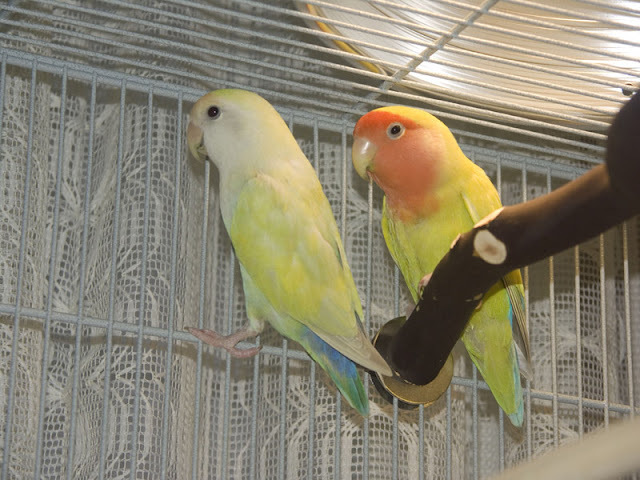 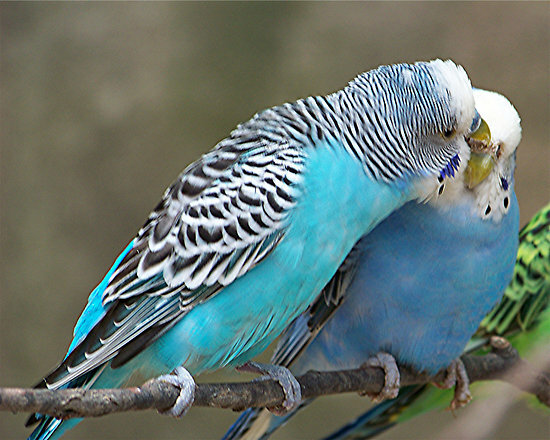 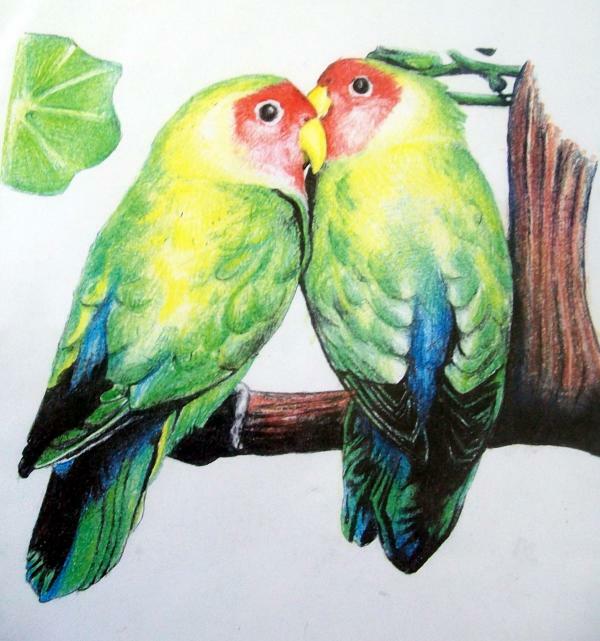 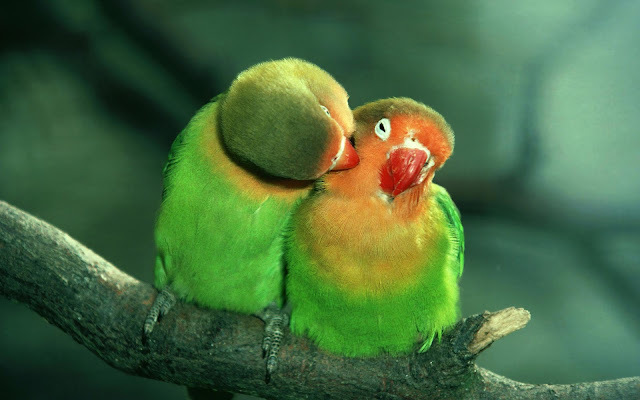 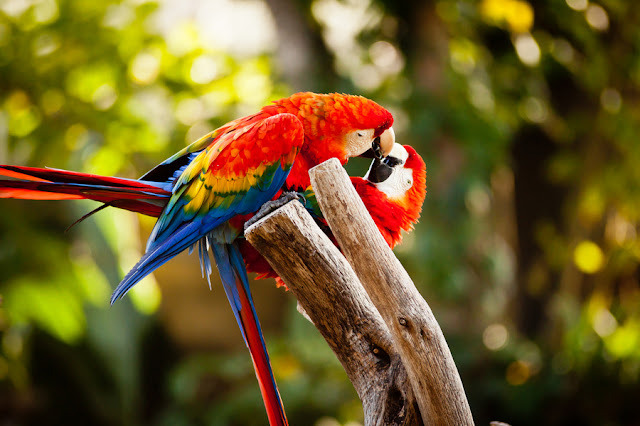 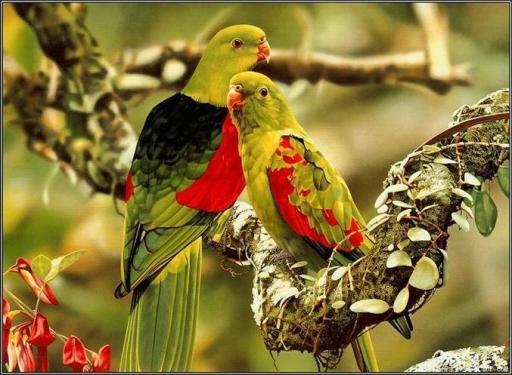 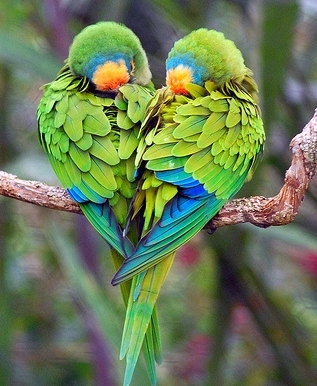 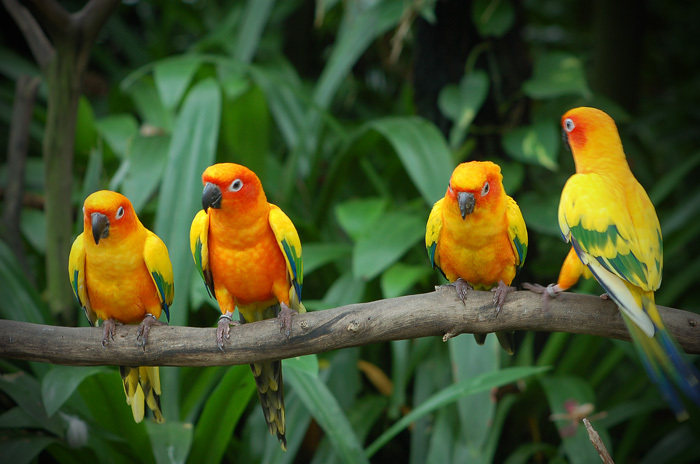 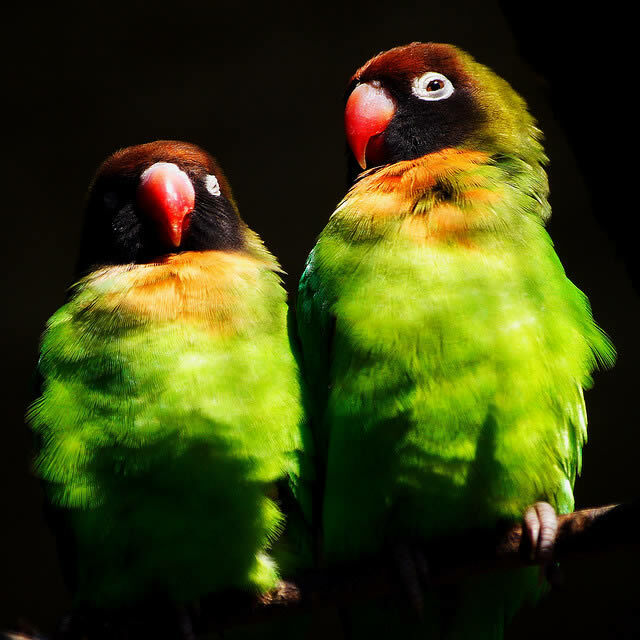 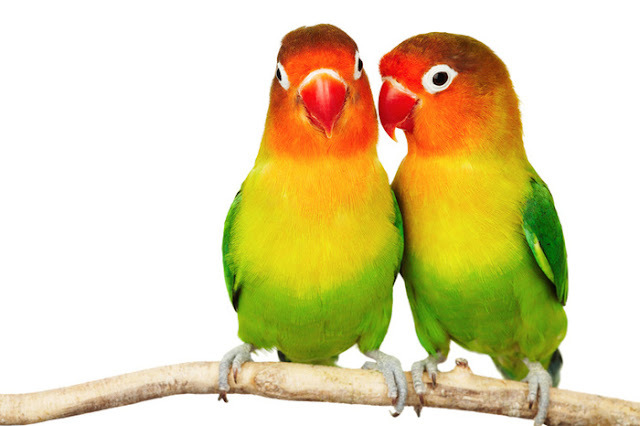 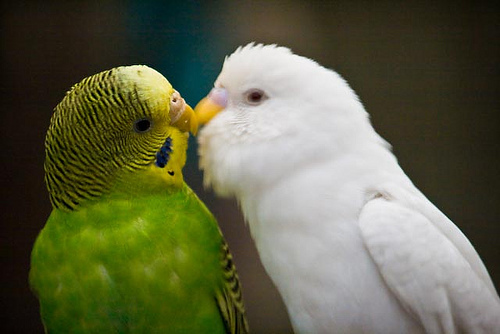 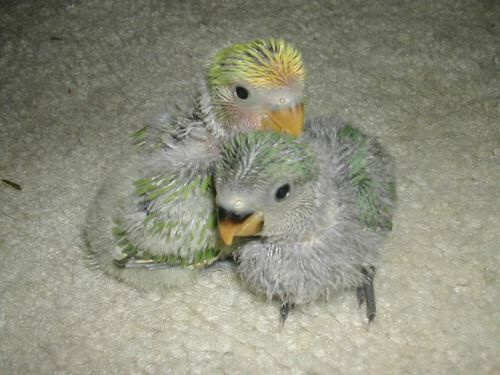 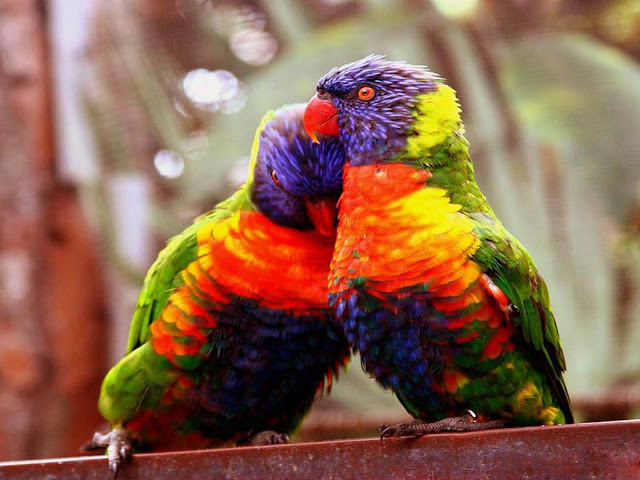 Wildtype lovebirds are mostly green with a variety of colors on their upper body, depending on the species. The Fischer's Lovebird, Black-cheeked Lovebird, and the Masked Lovebird have a prominent white ring around their eyes. 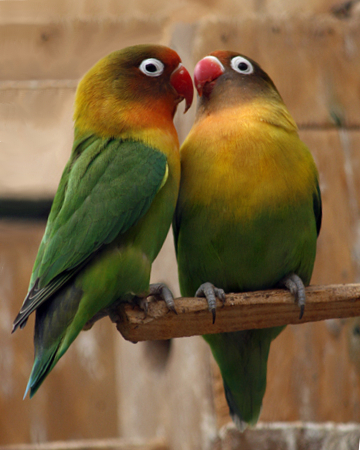 The Abyssinian Lovebird, the Madagascar Lovebird. 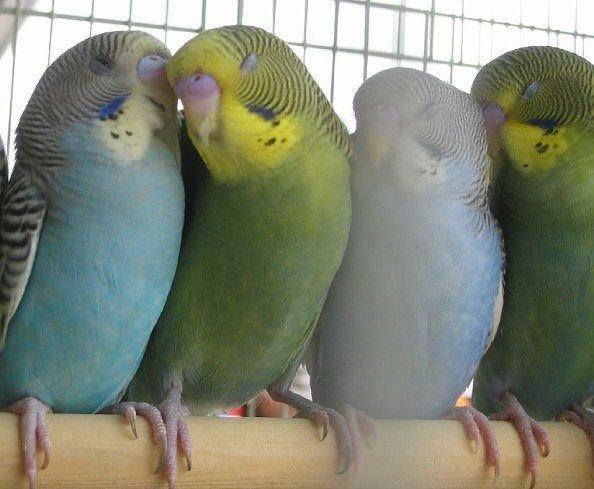 Many colour mutant varieties have been produced by selective breeding of the species that are popular in aviculture. 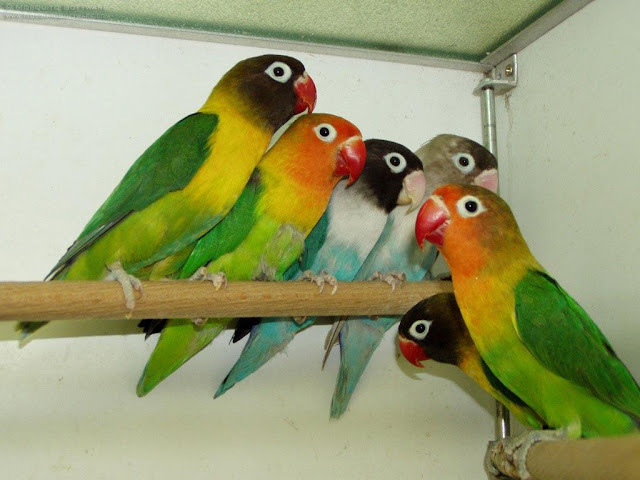 There are different species of Lovebird such as Yellow-collared Lovebird or Masked Lovebird, Fischer's Lovebird, Lilian's Lovebird, Black-cheeked Lovebird, Rosy-faced Lovebird, Black-winged Lovebird, Red-headed Lovebird, Grey-headed Lovebird, Black-collared Lovebird.